PokerArt Series. Daily freerolls! Free! 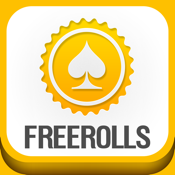 Mobile application for PokerArt Series poker freerolls players. Here you will find the schedule of the upcoming tournaments and player ratings. - Tournament schedule of PokerArt Series tournaments at PokerStars, Titan Poker and PartyPoker.